Last week’s budget had four direct influences on our housing markets. 1. First home buyer savings accounts were eliminated. These were the accounts that the Rudd government introduced to assist first home buyers in saving for a deposit. It was a nice idea at the time especially with the governments co-contribution and tax limit of 15%. At first, take up was slow but as at the end of 2013 there were 46,000 accounts opened. Only a few First Home Buyers took up the scheme to begin with and with fewer FHBs in the actual market, the likely impact upon the market is negligible to slightly negative. 2. The elimination of the National Rental Affordability Schemes. The scheme, once again introduced by the Rudd Government was designed to improve rental affordability for middle to lower income earners by offering rebate incentives to property investors on new properties that were approved by the scheme. Renters effectively received a 20% reduction off the market rent. Unfortunately the scheme struggled to get traction in part due to the fact it was initially modeled for the institutional market, banks being somewhat reluctant to lend at High LVRs, plus some dodgy operators abusing the system. I think negligible as only 15,000 properties were built under the scheme, meaning few investors were involved at the macro level. The introduction of the high incomes levy for the next three years means that the effective top tax rate is now 49.5%. That is a substantial amount of tax and will likely mean that business owners will increasingly use discretionary trusts to reduce their tax burden. High income employees may not have that as a practical option so their next opportunity is to invest into geared assets whereby operating losses can be offset against their own personal income. Residential real estate is of course the main vehicle for this due to the ability to heavily gear it and pick up non cash taxable deductions. So we expect ongoing interest from property investors looking to reduce their tax burden. It is clear the government’s goal to return to surplus and cut back expenditures has had a negative impact upon consumer sentiment, which if it lasts will be negative for the housing market. As we have outlined in recent weeks there is a very strong relationship between consumer sentiment and the housing market. And right now, consumer sentiment is actually worse than levels recorded prior to the election. The only offset to this is that the budget gas indefinitely delayed any rate rises for at least the next 12 months, if not longer. Having such a benign outlook on interest rates is a positive for the market but it won’t entirely offset the negative impact of a much softened view on the economy. Overall, the impact of the budget is slightly negative due to falls in consumer sentiment. If we were to see a pick up in confidence later in the year this then may well end up being positive for the market, especially with the surge in negative gearing investment. 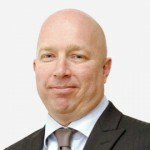 Louis is recognised as one of Australia’s most respected and impartial research property analyst. He has extensive knowledge and experience of property and is regularly quoted in the media on his insights and is director of SQM Research.